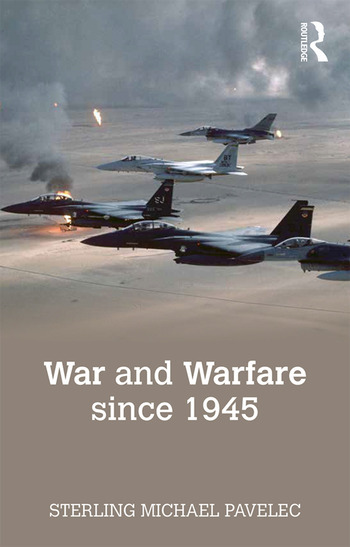 Both theoretical and historical, War and Warfare since 1945 also explores the definitions, ethics, morals, and effects of the use of militaries in and after war, and puts forward important questions about how wars are resolved. The wars discussed include the first Arab-Israeli War, the Chinese Civil War, the Korean War, the Cold War, the Vietnam War, and the Iraq war. The book concludes with an investigation into modern war and speculation on the changing face of warfare. Dr. Sterling Michael Pavelec is currently an Associate Professor of Military History – with an airpower focus – at the U.S. Air Command and Staff College, Maxwell Air Force Base, Alabama. His previous publications include The Military-Industrial Complex and American Society (2010) and The Jet Race and the Second World War (2007).